For many years, the NanoWorld R&D team has dedicated a considerable amount of its research activities to the development of special probes for High Speed Scanning. The first probe with a cantilever capable of resonating at a frequency of up to 2 MHz , called Arrow™ UHF, was introduced in early 2004 as a commercial product. Meanwhile users in many research institutions worldwide are working with the Arrow™ UHF for HS-AFM applications. 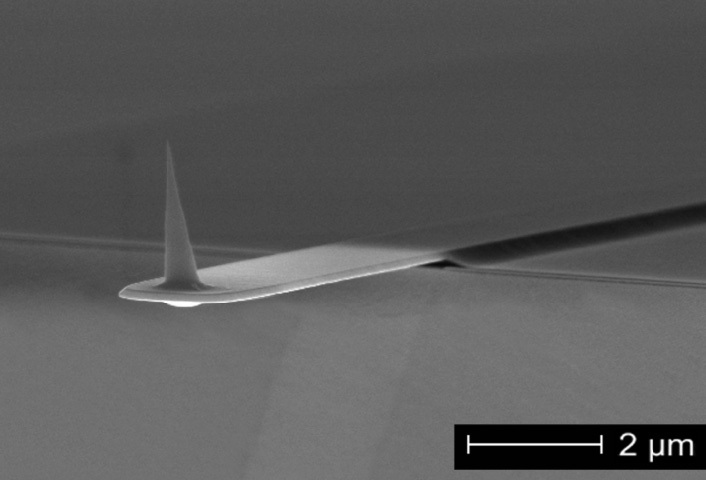 The second generation of probes dedicated to High-Speed AFM has been developed in collaboration with nanotools GmbH which has more than 10 years of experience in the field of EBD tip growing. 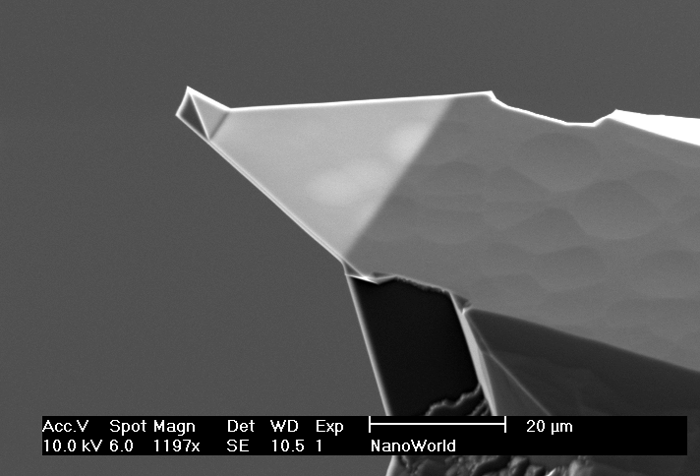 These Ultra-Short Cantilevers (USC) combine very small cantilevers capable of resonating at frequencies up to 25 MHz and a very sharp and wear resistant High Density Carbon / Diamond Like Carbon (HDC / DLC) tip. Some of them have been commercially introduced in 2014 (NanoWorld USC).